…whatever technology is. What is technology? The quick ‘n easy 2014 definition calls to mind something with circuits, a light up screen, perhaps (ever more so) connectivity with global networks of digital information…Conversations (fights) about it lose any hope for art, grace and depth the minute we allow this simple conception of “technology” to go unchallenged. Rather that a reductionist view of what it is, perhaps our (eventual) reconciliation over the role of technology in culture and education needs to begin with a question – followed by quiet reflection (a long one, hopefully): What isn’t technology? In the images above, where is technology not present? Are some of the forms of technology visible more acceptable than others? More important than others? I. The fight over technology in education is, first and foremost, a struggle for control. The Western Front in this struggle is the classroom. Most/all schools have “electronic device” policies that strictly decree “turned off and put away.” But there’s a problem: these policies do not work. How do I know? Because every week my office sees a steady flow of “confiscated” devices. Our secretary handles 90+ percent of these issues, but honestly she has better things to do. Some teachers may very well be frustrated that the policy doesn’t have as many “teeth” in it as it should; e.g., the punishments handed out not stiff enough. I would assert that we are in that cycle Einstein described: doing the same thing over and over and expecting different results. (One paradox that makes imposing fair consequences for this policy nearly impossible: every classroom is still its own island when it comes to the culture of technology. 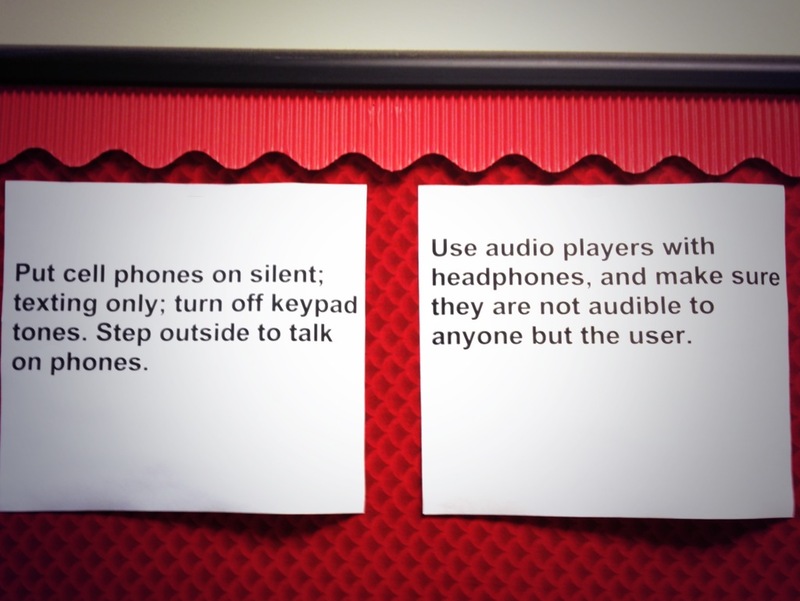 Listening to music in one space is just fine, but if your ear bud is showing in your next class…). Here’s something I recommend every staff watch before having a conversation about the role of devices in the classroom. It’s very true they can be distracting – of course, so can virtually anything. We recently got together a group of students to talk about technology at our school; they see right through our fractured organizational culture, all of us adults looking at the issue through our own lens…and the kids do not appreciate this divide. Honestly, they might be happier with a “No phones on campus, ever” iron curtain than the daily confusion over what is okay and what isn’t. Schools have lots of “technology” and teachers use plenty of “technology” in their daily lessons – the difference is in who operates the controls. A computer lab feels very uncontroversial these days – kids in rows working at their own station, and there are lots of monitoring softwares that allow us to see if they’re wavering in their focus (in a computer lab, I’m amazed when students aren’t). Then, of course, ANYTHING we use in a classroom is just a tool to help a student learn: pencils, paper, rulers, calculators, paintbrushes, clay, pens, beakers, Bunson burners, computers, projectors, etc…the value of that tool is determined by its ability to facilitate learning in our students. Does the proper use of a Bunson burner need to be taught? Should there be a culture of safety in a chemistry classroom? I say yes. Can it be done? I say it has. How about teaching proper use of pens? Of course. Has anyone ever misused a marker on our campuses? Perhaps not surprisingly, the answer is yes. I have seen graffiti. Did we attack the art department and deny them the use of the tool they use to help their students learn and grow? Thank goodness, we are smart enough not to do that! Can we trust teachers in our district to create a culture in our classrooms that allows a powerful learning tool to be used to that end? I say yes. In fact, I believe I do it every day. Has a student ever gone off-task with one of those devices in my classroom? I know they have, because I have caught them. Do some students go off-task in every class in every school, everywhere? I am betting they do, and there is not a teacher alive that will try to tell you otherwise. II. The fight over technology is a struggle for the moment, to be fully here. The paradox of the technologies that connect us across the globe (what an odd, incredible experience to FaceTime with my former principal, now working overseas, from my iPhone!) is that, when using them, we are often less attuned to the world immediately around us. When the laptop screen is up, it is a portal that can include others in the work at hand – it is also a physical boundary between you and the others in the room with you. One recent post on Edudemic asks a challenging question about the merits of a roomful of open laptops – a question without any one correct answer, I would argue. Yet some view a kid watching/doing/writing something on their iPad as unhealthy (“Too many screens…”). The harm is not found in the tool – it is how we choose to use/abuse it. 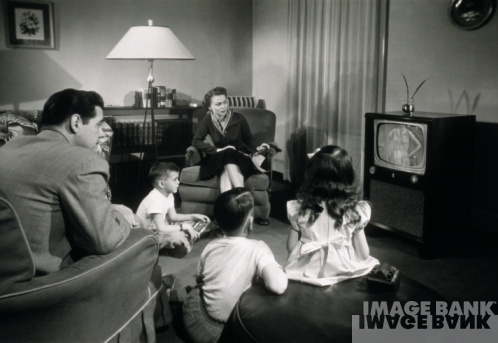 Is the five-plus hour national average of television watched healthy? Some feel that experiences we have through technological media are less “real” (do Harry and Sally feel that way?). So my genuine question in reply is: “What is real?” Is language real? Sounds that began as arbitrary utterances, now systematized to ensure connectivity between millions (billions) of people. Language is a technology, perhaps the first that set us apart from other animals. I think that, fundamentally, all of the technological tools coming into being at an ever-increasing pace are variations on the same theme: language delivery systems. III. The fight over technology is about fear of the unknown. Socrates warned against writing – he feared it would turn our brains to mush, simply rattling off printed text mechanically rather than drawing upon deep memory. The printing press represented a radical shift in the social (and educational) order by making information readily available to the masses. I hear a lot of concern these days about “screen time.” What about that film you’re showing? What about the 30-slide PowerPoint? These ubiquitous technologies are so ingrained in the landscape that we don’t question them anymore. I respect that we all strive to live balanced lives, and that we all want this for our students too – but we need to openly, and blamelessly, recognize this hypocrisy and move through it to a more honest conversation. Once again, the scary thing isn’t the device – it’s the notion that the kid is in charge of it and making decisions on how to use it without express permission from someone. Aaron Davis has some interesting thoughts on the idea of “technology as a must.” The MUST we all need to see is that the process/tool meets a deeper learning purpose. Ability to “do” something with any given technology can certainly be a good skill to know – however, the deeper cognitive/emotional skill sets are what empower innovation. The ideas bring life to the technology – not so much vice versa. The tool is only as good as the purpose behind it. IV. How we move through the fight to get to the real work of creating learning opportunity for all kids (and ourselves). Start small. Try something new. Reflect publicly about it. 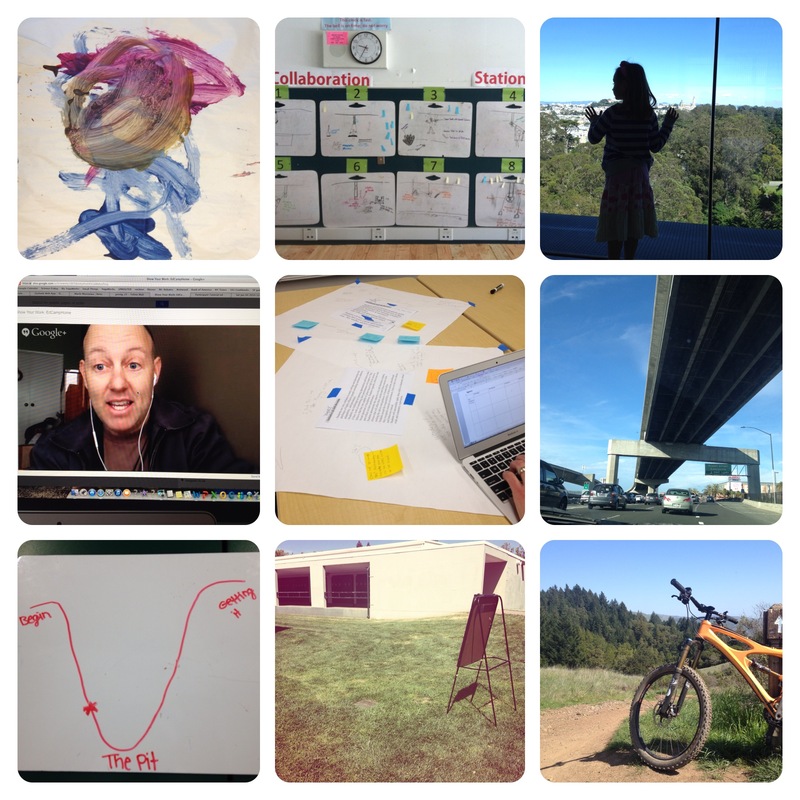 Tech is a tool for sharing, creating, and transparency. An axiom of parenting wisdom goes far here: “Choose your battles.” We need to stop fighting what is already ubiquitous. I don’t think kids want to be “entertained.” I don’t think it’s a distracted generation. I think kids want to have a meaningful experience, and they expect and need a voice in creating their own learning pathway. They want control too. From the inimitable Sam Boswell. Posted in School Culture, Teaching, Technology in Education, UncategorizedTagged Aaron Davis, Control, David Theriault, education, Sam Boswell, School culture, Teaching, TechnologyBookmark the permalink. Terrific blog post, Eric: Developed insights, considered scope, and advocating on behalf of students. I agree that the current battle concerns autonomy. 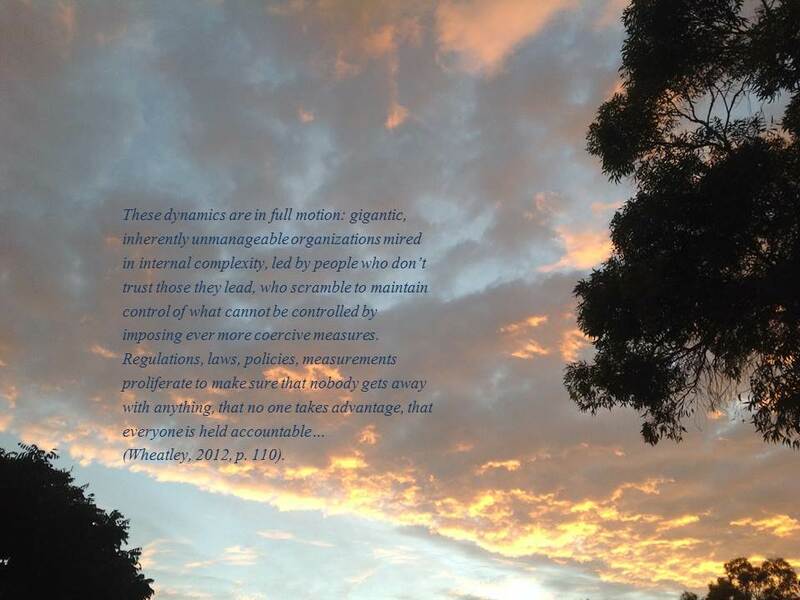 We (the system players) maintain control. We suffer from fear. Change can be threatening and, given choice, resistance is preferable to discomfort. Difficult tightrope to explore as a leader attempting transformative shift. The challenge is diminished as we undertake the process with others similarly equipped to confront fear.